Injustice 2 follows on from the Injustice Gods Among us story. This time seeing team Batman vs Team Superman call a break to take on a deadlier approaching foe, Brainiac. 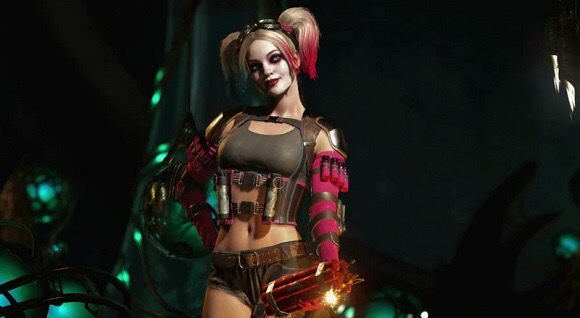 Injustice 2 brings a slew of new characters to the fold. The thrilling story continues were better graphics and battle styles. But does it have enough to keep you coming back? 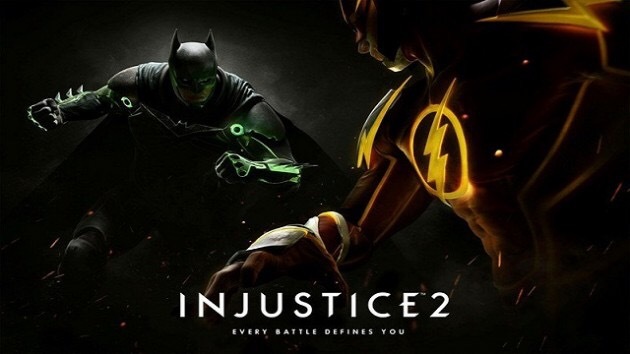 What surprises you at first is that for a fighting game the Injustice series has done pretty well in terms of delivering an A class comic book story that is actually an interesting narrative that keeps you glued to the screen. I’d be lying if I said I wasn’t surprised when I checked the time and noticed that I had lost track of time because of how engaged in the story I was. Injustice 2 and NetherRealm once again deliver a beautiful and engaging fighting game, one that could see people like myself who aren’t usually into fighting games, suddenly finding themselves thinking twice thanks to a compelling story, which you don’t often see in fighting games. Story aside Injustice 2 is an excellent fighting game brought to us once again from NetherRealm Studios, who are the team behind Mortal Kombat. Combat is fast and fun and depending on your expertise level when it comes to fighters, each character now also tailors to how players handle a fight. I found myself a fan of using both Green Arrow and Flash as I felt their combos were easier to perform. Green Lantern on the other hand came off as a bit more of a challenge for me. Combos are the key to winning here, which is especially so at the online front of the game. On several occasions, I would find myself in a match where I was way over my head, but more on the multiplayer section later. Matches are filled with other environmental objects to help you take down your opponent. You can also destroy the environment sending your opponent through walls or other objects which then takes you to a sub part of that arena to fight in. A lot of what was present in Gods Among Us has been kept around in terms of world destruction and set up. Injustice 2 handles a lot like its predecessor in terms of gameplay mechanics. You still have your special ability of sorts that sees each character perform some sort of chain of attacks in a cutscene. These are performed after filling your super meter, which can also be drained when performing other combos. I have to say that I wish there was more than just the one cutscene/special ability per character. Grows old seeing the same thing repeatedly. Especially when you can perform a special ability twice in a match, it would be good just to see more variety is all. Thankfully though when it comes to variety Injustice 2’s character customization section is fantastic. From special suit accessories to the colour of the suit, you can make your favourite character to play your very own for the multiplayer section. 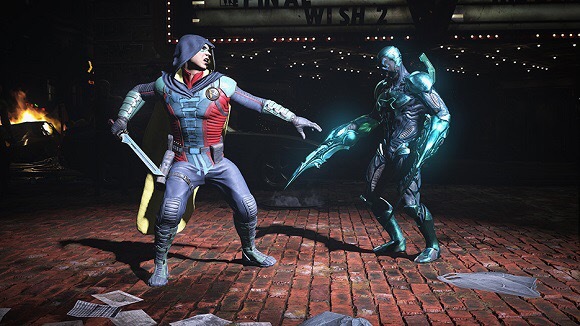 Injustice 2 now includes a microtransaction system for anyone who may be interested in paying real life money to collect character specific items quicker than grinding for them. Players can buy source crystals with their own money to purchase certain other items to change the look of your favourite fighters. These are of course optionable. You don’t need to spend money. These are just for the players that want get them sooner than later. This is where the game really opens up. I do advise completing the single player story first however as it helps you get a feel for each character and helps level them up and by completing each chapter you are rewarded mother boxes. Mother boxes contain items of clothing or appearances for each character. 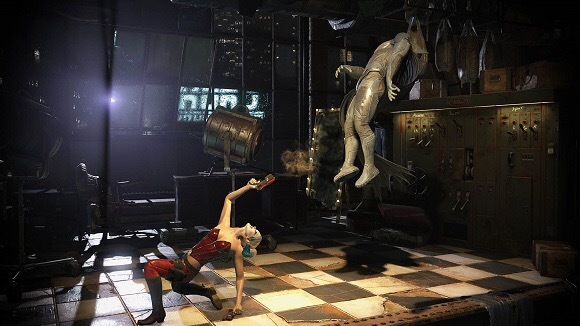 There are several types of mother boxes and each contains a certain level of rarity for special stat carrying clothes and weapons. They also have levels so don’t go thinking you can use an epic bow on Green Arrow when you’ve just started playing online. There’s some work to be done first. It pays to work hard as each new article of clothing or accessory that you unlock from a mother box can help increase a certain stat for your character. These stats help you when you go against other players of the same level. You are also able to customize your card with different art works., much like Call of Duty for example. You also display your win/loss record so try not to perform poorly or your friends may see how good or bad you really are. Injustice 2 is a gorgeous game and the character designs are more stunning than its predecessor, including the world designs and clever use of arena objects that can be used as weapons. A lot of love has been put into the attention to detail here and it shows in every scene during the story and other offline and online fights. Injustice 2 has also some impressive voice actors. The great Kevin Conroy is back to voice as Batman which is always a treat to hear, as well as several DC voice actor veterans. While not getting into the story but as someone who reads the Injustice comics as well it was awesome to see it play out on screen and once again as it was beautifully presented. Injustice 2 is a fantastic sequel to a much-loved universe. Another fantastic story is told while exceptional gameplay accompanies it. Injustice 2 is a gorgeous sequel that delivers on all fronts. While the story felt a little short to me and some of the ultimate attacks feel like they still could use some variation, I enjoyed my time here. Injustice 2 comes in a year chock full of Fighting games coming out left and right and I can say without a doubt that Injustice 2 deserves a spot on any comic fan or fighting fans gaming shelf. Writer and Media Journalist for Alternativemindz since 2012. I Cover the latest in Pop Culture, Video Games, Comics, Pro Wrestling and much more.